We pray Kanchi Acharyas to bless him with all the health, courage and support needed to carry out this fight until the end goal is achieved. Our sincere thanks to his service and our humble namaskaram to this great man! I remember he is Mr. T.R. 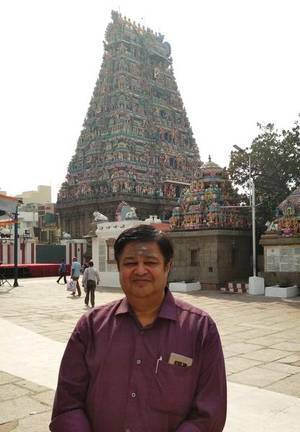 Ramesh, not TN Ramesh…I salute this Great Man for his service for our Dharma.. But whatever the historical tradition and evidence, there have been mischief makers in power. Astikas have always to be alert and active. It is here that services of such brave and knowledgeable fighters like Sri Ramesh become invaluable. We bow to him. The larger issue is the matter of a so called secular government running Hindu temples. All Hindu temples have to be freed from govt control and intervention. So we asthikas have to be vigilant. We have to join hands and support the work of men like Sri Ramesh. Madurai Meenakshi temple – there was fire in the temple yesterday.About 35 shops gutted,many stored temple articles burnt,many pigeons were burnt alive ..frequently in this temple mishaps are taking place .All the incomes of the temple are misused- they say.No proper maintenance,no proper governance .The government does not look in to all these.Some drastic steps to be taken to guard our temples and the shops inside the temple pose a great danger to temples.Temples are NOT commercial complex.It is meant only for ASHTIKAS and temple worshipers. Some one should initiate steps urgently to set things in order.The sanctity of the temples is essential God alone can save our temples. But the only way this can happen is by electing honest devotees of good standing to the management trusts of such huge temples. Only in Tamilnadu the temples are systematically looted by the Political Class of all hues and colours. 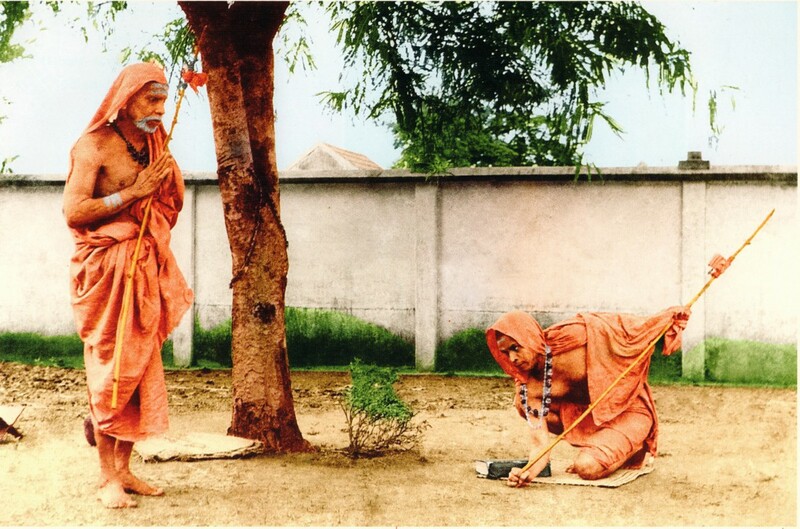 May Mahaperiyava bestow him more strength to ward off the evils. Temple worshippers should form association in every temple to keep the nefarious political designs at check. This is the topmost priority for all of us. Great Man. May Mahaperiyava Bless him with abundant strength and resources to fight the battle against such evils.